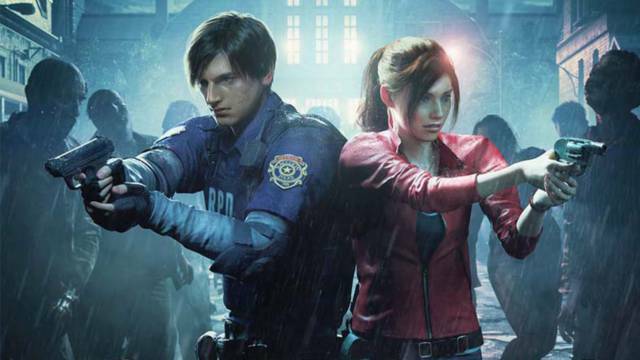 Below you will find all the solutions of the game Resident Evil 2: Remake for PC as well as guide, collectible and secret. Welcome! We have created the guide of Resident Evil 2: Remake, but not limited to the following: The Solution and the Secrets will be shown on this page if and when they are available. The guide could not be exhaustive! If you have found something new please contact us or comment on this article and we will be happy to add your reports to what already exists. The solutions we have are valid for PC We update the list of consoles every time a new one is added to the list. In addition to the solution we can also provide you with the tricks of this game Enter the tricks and codes page of Resident Evil 2: Remake and you will find all the tricks and unlockables to easily finish the game and, often, even a small guide to the collectibles of the game. Also for you can also download a promo trainer offered by third parties on the page dedicated to it.If performed with the game, this trainer will allow you to activate some tricks that you could not get in another way. This is the part 0 of the Walkthrough of Resident Evil 2: Remake, called: Part 1: Leon. Press on the corresponding video twice to open it! Press two times to show the video number 1 of the Walkthrough of Resident Evil 2: Remake, entitled: Part 2: Boss William Birkin. Remember to leave a comment before going away! Here is the video Part 3: Ada and Mr. Chase, number 2 of the Guide of Resident Evil 2: Remake. If you enjoyed our work of Walkthoughs recover, subscribe and leave a comment! This is the part 3 of the Walkthrough of Resident Evil 2: Remake, called: Part 4: The Giant Crocodile. Press on the corresponding video twice to open it! Press two times to show the video number 4 of the Walkthrough of Resident Evil 2: Remake, entitled: Part 5: Claire. Remember to leave a comment before going away!